This year she will bring in an estimated $87 million from publishing and music sales, touring and other performances, film work, her fashion collection and endorsement deals. 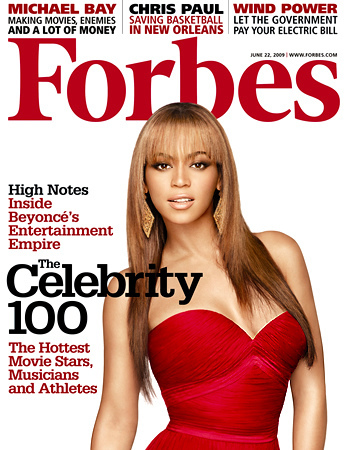 That diversified portfolio helps her land at number 4 on the FORBES Celebrity 100 list, a ranking based on income and visibility. Beyonce constantly works and reworks her act, watching every two-hour performance on tour even after her hundredth appearance taking notes on how to improve. I’m never satisfied, she says, adding with a nervous laugh, I’m sure sometimes it’s not easy working for me. Then, seriously: I’ve never met anyone that works harder than me in my industry.